With the aid of new airship inventions, U. S. Navy blimps can now “anchor” ” 100 feet above the sea, and pick up ill sailors or victims of shipwreck. A circular disk called a “drogue,” dropped into the sea at the end of a cable, keeps the craft’s nose pointed steadily into the wind. Meanwhile the blimp is kept from rising or dropping suddenly by counteracting its buoyancy with a sea anchor, a canvas bag that fills with 1,000 pounds of sea water when let down from the gondola. 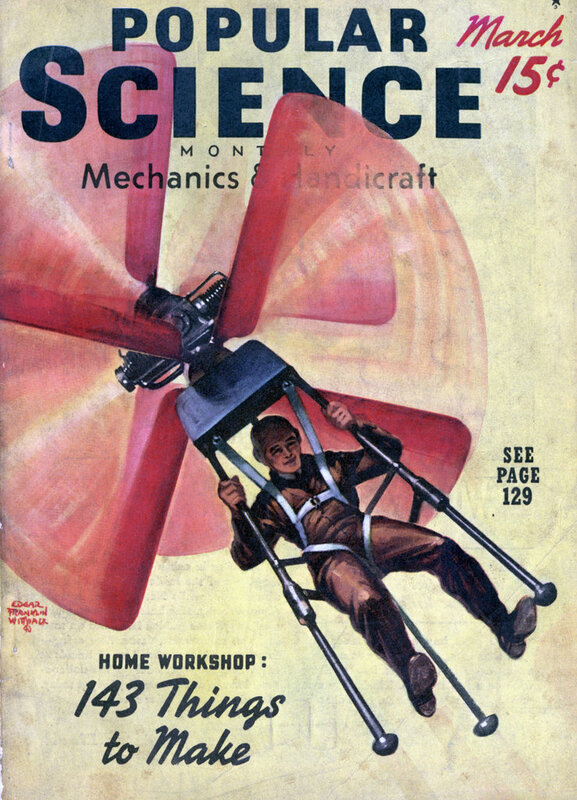 Rescued persons may climb a rope ladder to the cabin of the airship, or be hoisted aboard with rubber life rafts lowered to them. 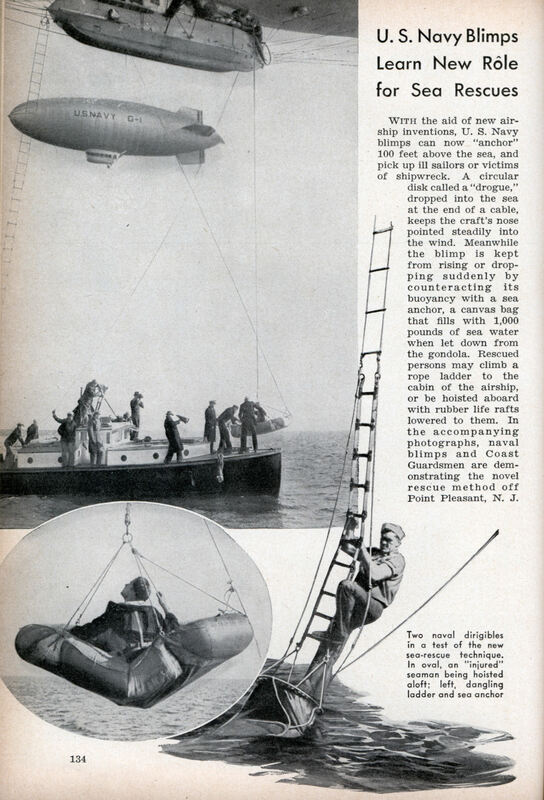 In the accompanying photographs, naval blimps and Coast Guardsmen are demonstrating the novel rescue method off Point Pleasant, N. J.
Pre-helicopter days, the only airship that could hover. Faster to the scene than a boat (about 50 knots) and able to carry quite a few victims. I grew up near Lakehurst, NJ across the street from the wide Toms River where Navy rescue blimps practiced water rescue. Every member of the crew, including the pilot, would be dropped into the water (even in cool weather), the blimp would make a large loop and come back heading into the wind to pick them back up.